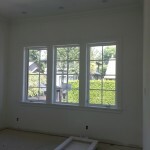 In early April, Shade Works was contacted by a family moving into their very first home in Vancouver, British Columbia. This home was still under construction when Shade Works made their first visit to the property. The family explained that they were developing a clean and modern look, and they wanted their window coverings to match the wallpapers and paint they had already chosen. The layout of this house is very unique, with the bedrooms on the first floor and the common areas such as the studies, kitchen, and living room on the second floor, which made for an interesting, yet inspirational project. 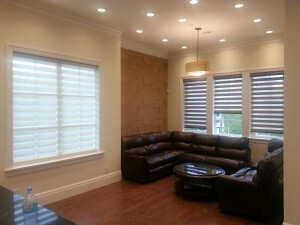 There were several different types of window coverings used due to the unique design, but the customers loved the versatility of the Shade Works product line to allow them to fully customize their dream home. 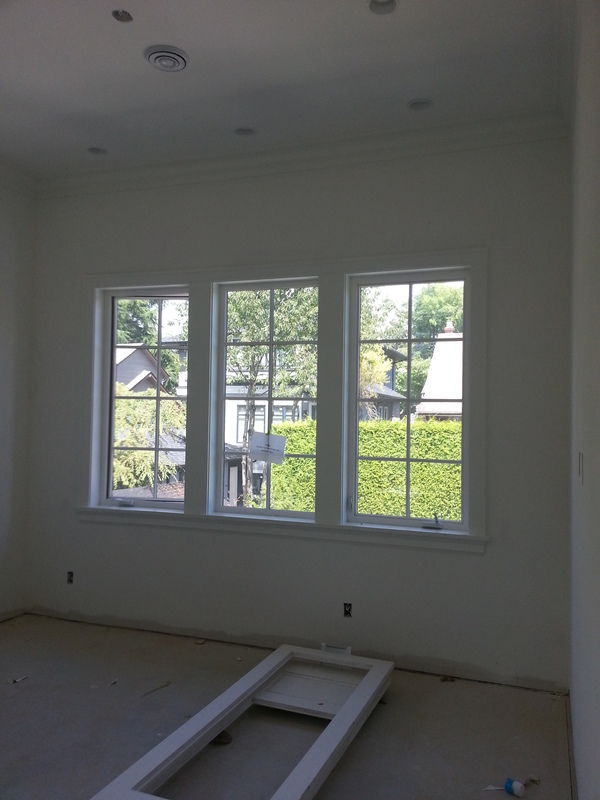 Here are some before and after shots in the home, along with some details about the window coverings used. 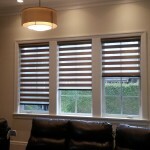 In the living room, the Premium Sheer Elegance Shades were used to cover three tall windows that were side by side. The dark and shimmery brown of the Topaz (Jewel Collection) fit right in along with the rest of the décor in the room. 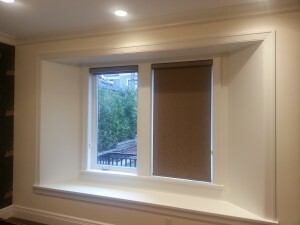 On the first floor of the house, Blackout Roller Shades were used in all three bedrooms. 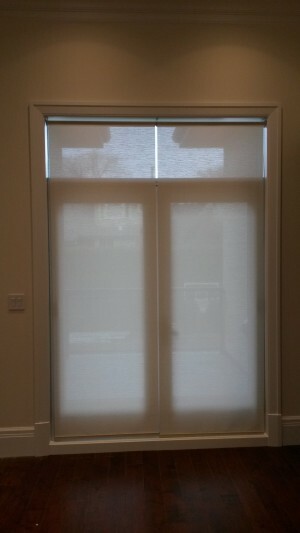 The Blackout Roller Shades were an easy pick here, providing maximum light blockage and privacy. The colour used was Pebble of the Maui collection, one of our top selling collections. For the French doors, leading out to the patio on the second floor, two Designer Light Filtering Roller Shades were used. Ceiling mounted, the rollers were also reverse rolled to allow for sufficient clearance for security screens the family were installing. This particular fabric, Ambiance collection, is 100% polyester, giving it a light, shimmery look to really complement the colour of the walls as well as the flooring. We not only want to thank this family, but all of our customers and fans out there! Shade Works is happy to help and support each of our customers on their journey to covering their windows and adding the perfect finishing touch to their home. Have a great day!